If you get contact dermatitis after wearing or touching leather, you might have a leather allergy. Patients with this allergy are most likely allergic to dimethyl fumarate (DMF), a chemical used in the leather tanning process. DMF is used for its antifungal properties and has been known to cause many skin reactions. While symptoms of this allergy aren’t usually severe, they can be painful if not treated immediately. Most symptoms of this allergy are delayed. They occur after prolonged exposure to leather. Because of similar symptoms, this condition often gets mistaken for eczema, a long term skin disorder. This is why it’s important to get a proper diagnosis by a board certified allergist. 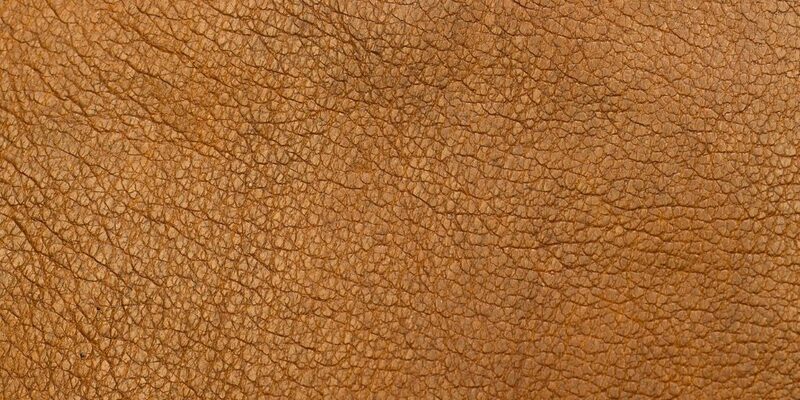 Most allergists can tell if you’re allergic to leather just by examining your skin. When associated with leather allergy, contact dermatitis is easy to distinguish. Most rashes appear on the feet, hands, and wrists. When allergists can’t determine if you’re allergic to leather by just examining the symptoms, they will use a patch test. Patch testing is an accurate way to diagnose a leather allergy. During this test, small amounts of the allergen will be applied to patches that stick to the skin. It generally takes two to four days to deliver an accurate result; however, the times vary depending on the sensitivity of your skin. After taking off the patches, your doctor will ask you to return to the office to check for any delayed reactions. Leather allergy is similar to fabric allergy. Fabric allergy involves direct contact with certain synthetic ingredients in clothing and other fabrics. Both allergies result in contact dermatitis or other skin reactions. If you experience a skin reaction after touching certain fabrics, you’ll need to visit an allergist for a diagnosis. A patch test can diagnose this allergy. Leather allergy is also similar to latex allergy. While symptoms of a latex allergy can be more severe, mild reactions resemble symptoms of a leather allergy. Most people that show skin reactions to latex are allergic to petrochemicals. Petrochemicals are found in synthetic latex products such as surgical gloves. When an individual is sensitive to petrochemicals, contact dermatitis can result from touching latex products. Dimethyl fumarate (DMF) causes most leather allergies. DMF is a chemical used in the leather tanning process. Individuals who are sensitive to this chemical experience will severe skin reactions. What Does Leather Allergy Look Like? Leather Allergy consists of rashes on the skin. These rashes can appear as red, flaky, and bumpy. They are usually found on the feet, hands, and wrists. Can Leather Furniture Cause an Allergic Reaction? Direct contact with leather furniture can cause an allergic reaction. This is also true of leather gloves, boots, and watches. It’s important to avoid all leather if you’re allergic. Can Socks Protect My Feet From an Allergic Reaction to Leather Shoes? Socks can protect some people from experiencing an allergic reaction to leather shoes. However, the residue can remain on the socks and irritate the skin when you touch them trying to take the socks off. How Is Leather Allergy Diagnosed? Leather Allergy is diagnosed in two ways. Some allergists can examine the skin to determine if you’re allergic to leather. They will ask you questions regarding your exposure to leather. Another way to diagnose leather allergy is with a patch test. Leather Allergy is not curable. However, some patients have reported becoming less sensitive to leather over time. How Is Leather Allergy Treated? Symptoms of leather allergy will usually resolve on their own. However, cortisone creams and antihistamines can help provide relief. If you suspect you have a leather allergy, call NY Allergy & Sinus Centers for treatment immediately. Our allergists are available six days a week to diagnose and treat your allergy. We offer relief the same day of your appointment.To make an appointment for your leather allergy or other allergy, sinus, and asthma problems, call us today at (212) 686-4448.